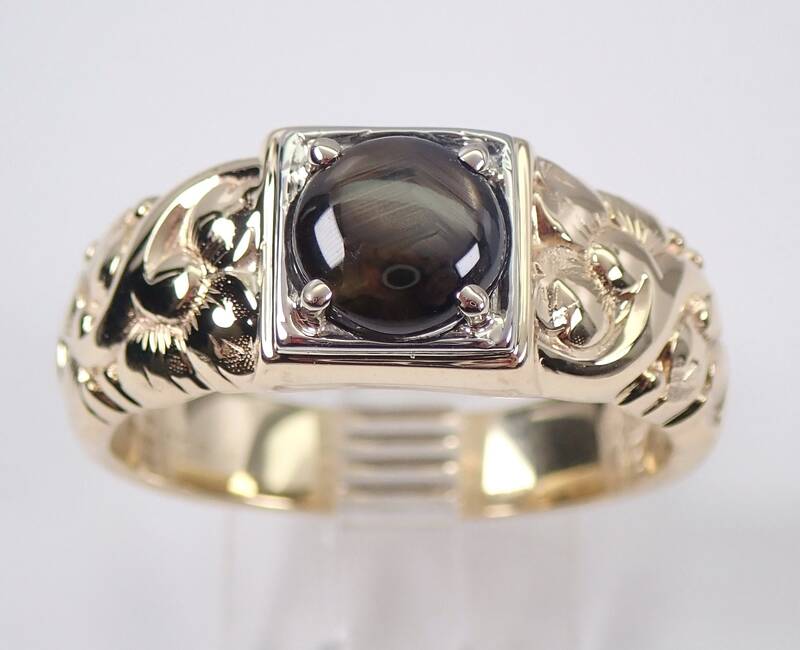 Vintage Men's Black Star Sapphire Ring set in 14K Yellow Gold by Jabel. 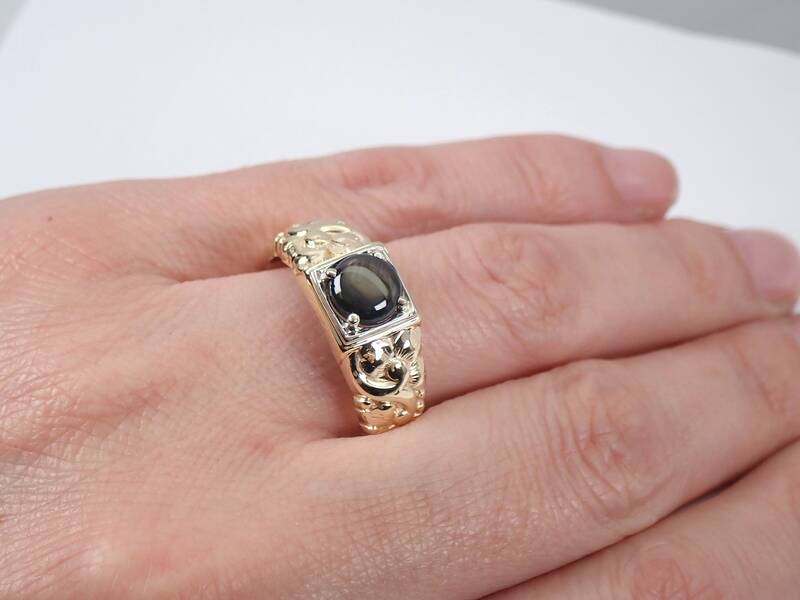 This ring is set with a genuine Round Black Star Sapphire. 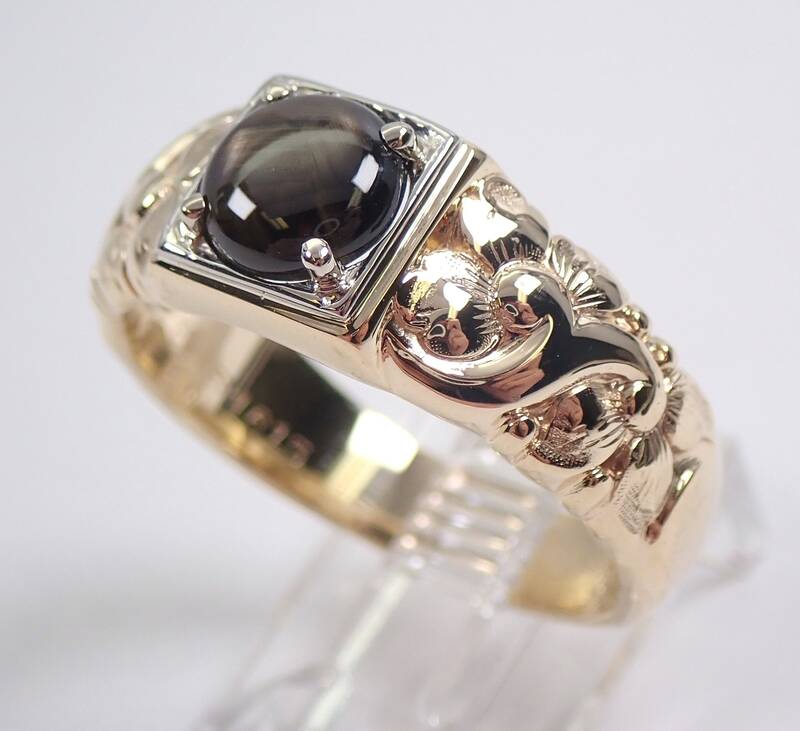 This Star Sapphire measures 7 mm in diameter. 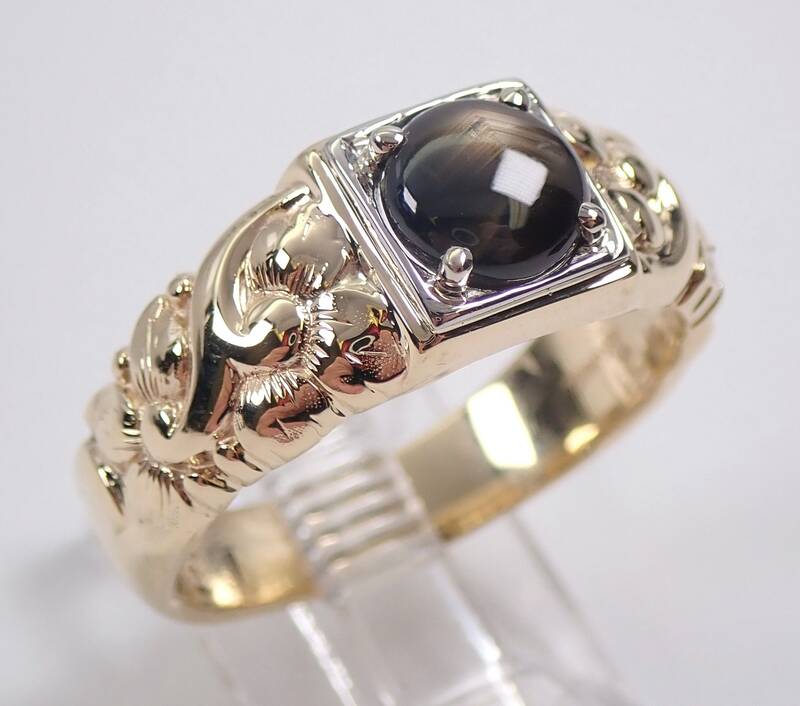 This star sapphire doesn't really portray a star, but has a moving asterism. 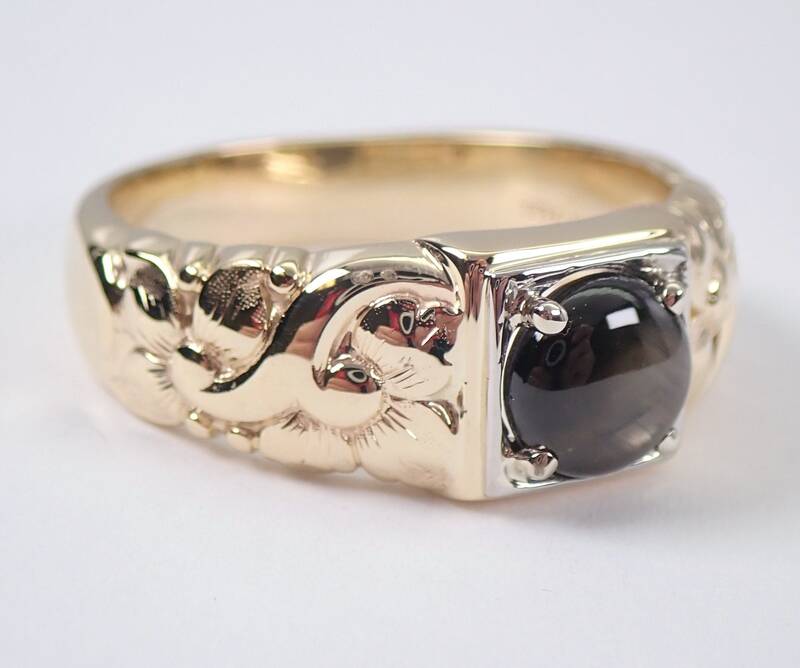 This ring is 14KT Yellow Gold, weighs 7.7 grams, measures 9 mm in width and is a finger size 10 1/2, can be resized (please inquire about sizing with the finger size you need). This ring dates back to Circa 1960's and will be accompanied by an appraisal by a GIA Certified Diamond Grader with the retail replacement value of $1,489.00. I will ship this ring promptly in a gift box.